REPORTING DICTATORSHIP METHODS FROM THE SPANISH GOVERNMENT – Freedom for Catalonia! Since plebiscite elections took place last 27th September in Catalonia, still we do not have either a president of Generalitat or declared independence, despite a majority was reached in the parliament. 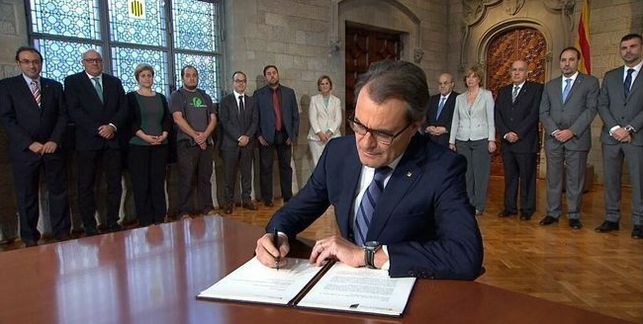 Artur Mas signing the decree to celebrate consultation about independence last year. For the last weeks we have witnessed Artur Mas being summoned to declare in front of the constitutional tribunal for having allowed and supported the consultation of 9th November last year. Our president in functions, along with the vice-president and other people summoned as responsible (including some of the volunteers who helped put the ballot boxes in some appointed schools) for supporting the “disguised” referendum of last year. 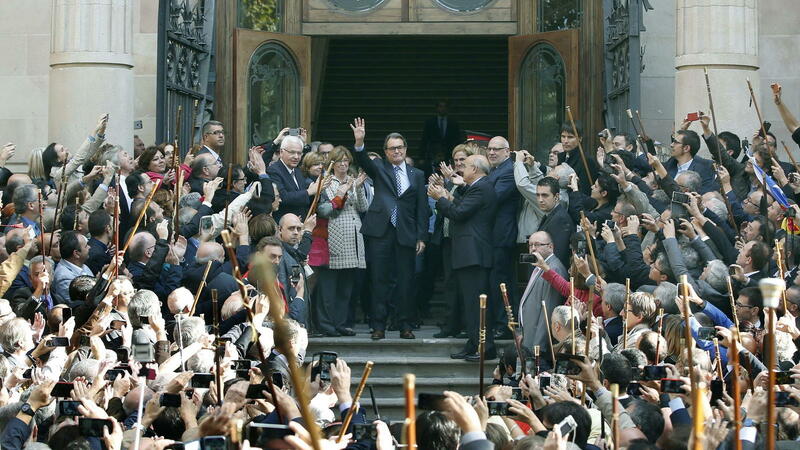 Artur Mas, still president of Generalitat in functions, applauded by thousands of independence supporters, around him majors of hundreds of towns rising symbolic wooden stick. Some people did go above and beyond to be able to vote last year. I actually drove all the way down from Utrecht to Brussels and queued for 4 hours to be able to put my vote in the box! 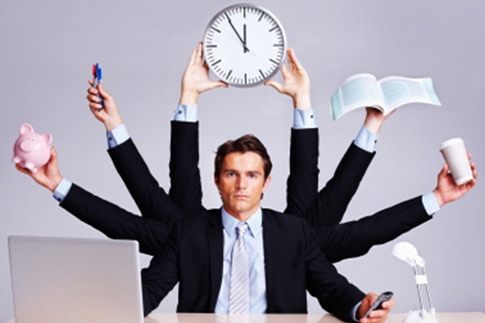 The Spanish government is trying to unfairly disqualify the government in functions and impose a chosen administrator until elections are hold again some day… Just before we may be able to declare independence. And they are putting all the judicial powers into play to the point of producing more than one dismission in the Office of the State Prosecutor. How is this not a dictatorship? When a constitutional court publishes official press releases complaining about the pressure they receive from seeing the thousands of Catalan supporters call for independence when the still president goes to declare in front of the judge! And the worst is listening to the Spanish president saying that their imposed law is a basic principle of democracy and that allowing the Catalan people to vote for their independence is illegal. 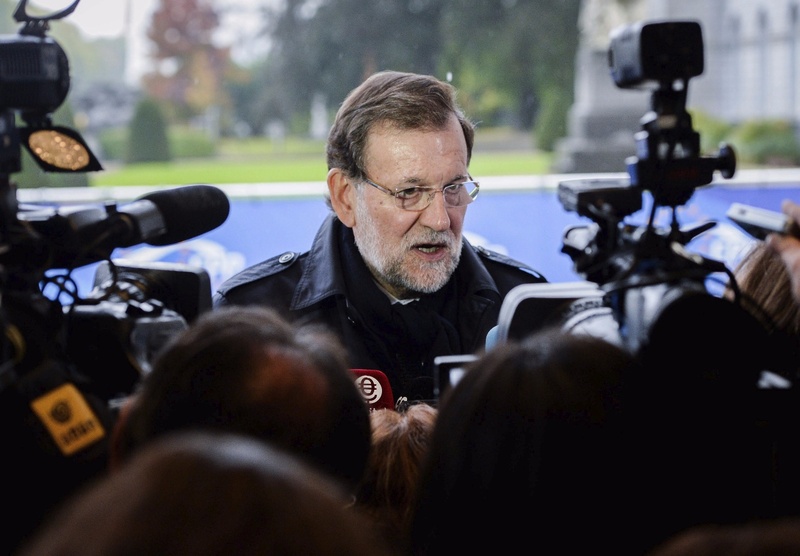 Mr Rajoy’s declarations during the last meeting of the UE due to the refugees issue go directly against true democracy, while some people of his party dare to criticize him for being too soft with the Catalan issue. Let the UNO know that they must ask the Spanish government to at least agree to negotiate a separation with the Catalan nation. We won the consultation last year despite their boycott. We also won last plebiscite. Now let us be free. 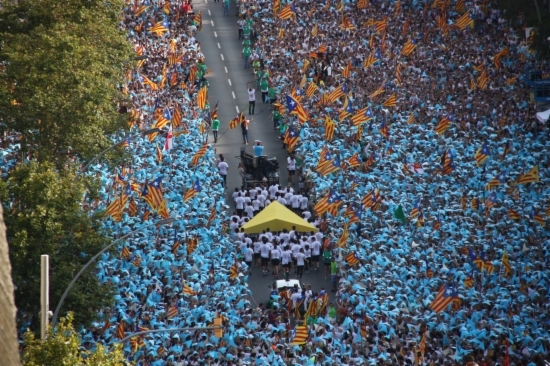 11S2015 demonstration for independence, Barcelona. Over 2 million people crying independence.